Welcome to Week 3 of my Vintage Autumn Celebration series starring Maple! I have always wanted to be apart of a winter harvest tapping sugar maple trees. I know it's a lot of hard work, but the reward is absolutely amazing and delicious. One of my favorite non-fiction books is actually about the history, lore, and facts about maple syrup & sugar. It's called Maple Sugar: From Sap to Syrup. It was a fun book to read with my kids, and reading it, of course, brings quite the cravings for something mapley! For this week's two recipes, we've got some really yummy sounding ones. First there's the Apple Roll from The Mapleine Cook Book, ca. 1930s, which utilizes biscuit dough in an interesting way. Mapleine is put into the syrup that the apple/biscuit dough roll is then basted with in the oven. Interesting! 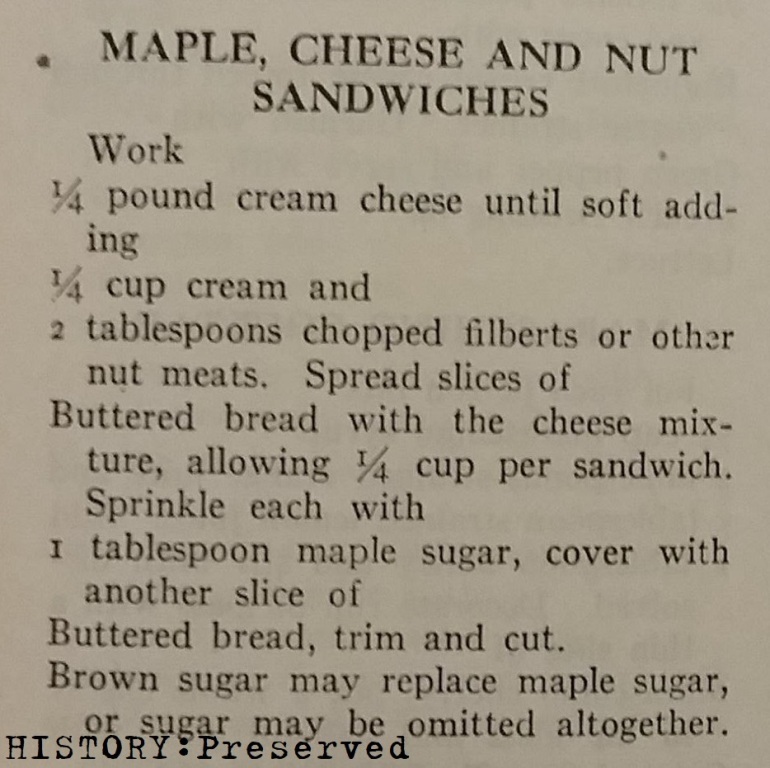 Second, there's the recipe for Maple, Cheese, and Nut sandwiches from The Alice Bradley Menu-Cook-Book from 1944. 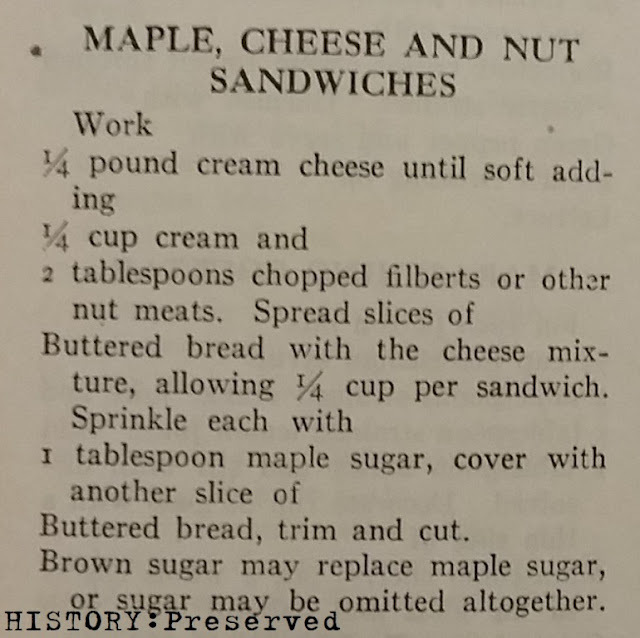 This recipe looks like a typical 1940s sandwich filling with cream cheese, nuts and a sweetener of some kind, in this case, maple sugar! I think it sounds lovely and want to give it a try for sure! They both sounds really good. You'll have to let me know if you give one or both of them a try!